Democratic Urban Design is the core of our philosophy. Everyone who lives in a city, regardless of her/his age, education level, ethnicity and social class must be involved in making even the most minor decisions for her/his living environment, namely the city. We must use people’s ideas of good design and the politics of everyday life must present itself in our design, and consequently in our cities. But this wishful thinking cannot be made into reality barehanded. Most of the time, we are not consciously aware of what we want in our urban spaces. To activate this silent knowledge and to access the phenomenological life-world of the city dweller, we need carefully constructed tools. This is why our tools have always been an inseparable part of our process. They have always facilitated our design process and helped us understand people’s wishes and behavior better. Today, we have a fairly advanced set of tools for citizen involvement, which is the result of our years of experience in working with different age groups, social classes, ethnicities and so on. arki_tools, span from analogue to digital and from very traditional design tools to the modern ones. Every tool is designed for a specific reason and to collect a specific set of data from people. 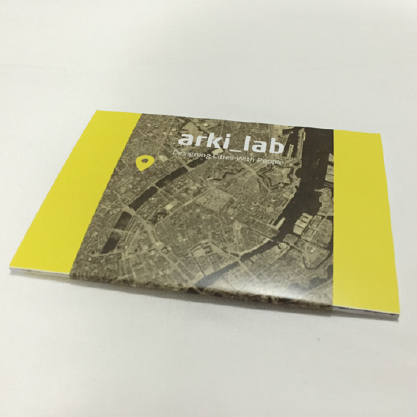 So far, our most important tools that we have used in almost all of our projects are: arki_nopoly, CoCityApp, arki_collage, arki_mapping, arki_probes and arki_prototyping. As we wrote last week, Rasmus is going to be in Australia during the next week, to participate in the 8th International Urban Design Conference in Brisbane. He is going to share our tool with our colleagues from all around the globe. In line with that, we will unfold one of the tools each day on our Facebook page.